The Cardiac Electrophysiology Lab at Palm Beach Gardens Medical Center in West Palm, FL recently joined the growing list of Omega upgrade customers who benefit from the performance of brand new Flat Panel technology, while maintaining the affordability and reliability they expect from an Omega interventional fluoro system. This unique, field installable solution is exclusive to the Omega product line. By offering our current customers using image intensifiers this affordable option to upgrade to the latest flat panel technology. 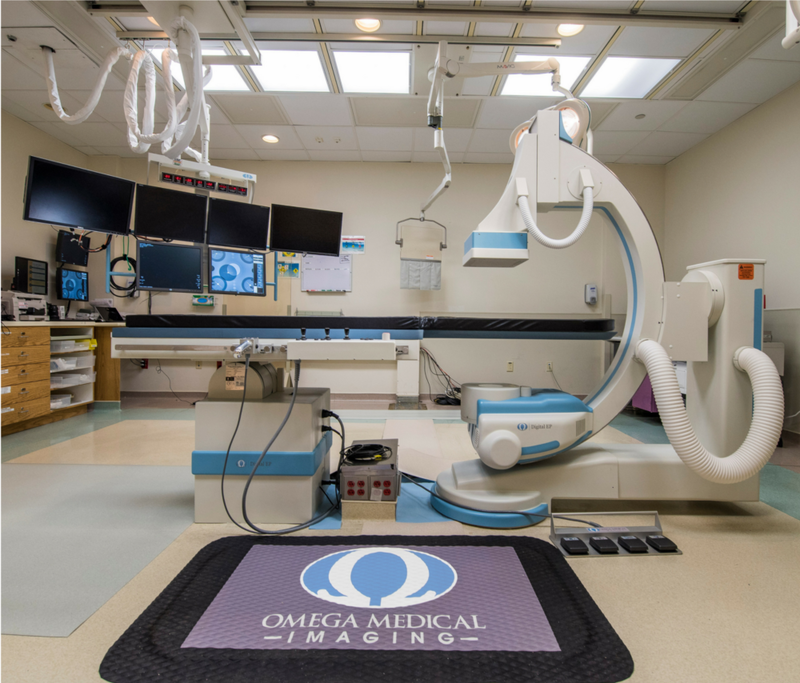 The 10-year partnership between Omega and PBGMC began in 2008 with the installation of an Omega fluoro system in the hospital’s growing EP lab. Ultimately, after providing the lab with a decade of reliable, high-quality imaging, it was time for an upgrade. 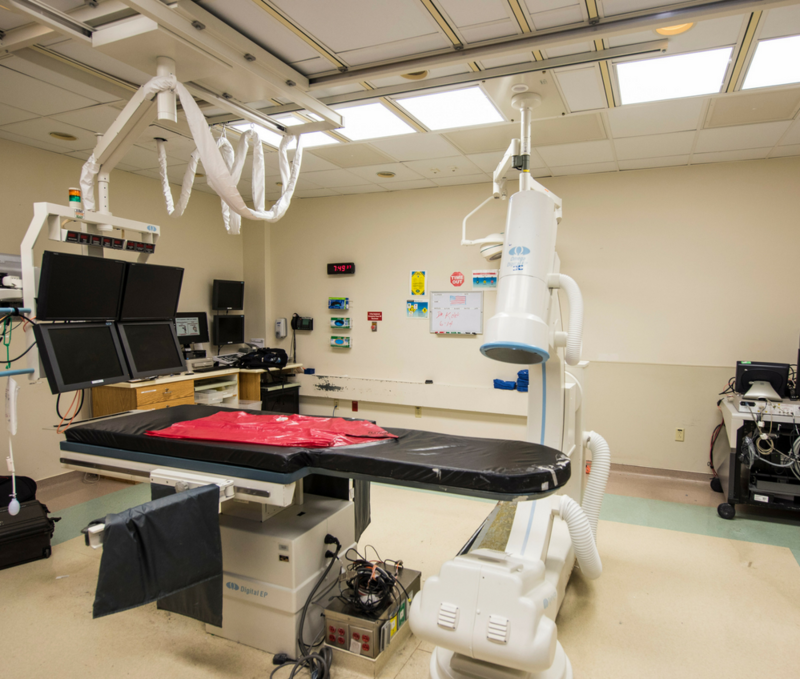 Upgrading their Omega EP fluoroscopy system brought their lab up to date with the most current flat panel imaging technology and extended the lifespan of the room another 8-10 years. Leading PBGMC’s renowned Cardiology department, are Dr. Platt and Dr. Klein. Both specializing in cardiology and cardiac electrophysiology end up spending a lot of time in the Omega EP lab. With ten years of practicing under his belt, Dr. Klein performs high volumes of atrial fibrillation ablations and catheter ablations. While Dr. Platt has been an innovator in electrophysiology for the past thirty years, being among the first to perform implantable cardioverter defibrillator (ICD) and biventricular ICD implants in South Florida. By maintaining the same small footprint, very little had to be done to prepare the room for installation, resulting in minimal downtime of the lab itself. EP labs are notoriously busy, performing countless lifesaving procedures daily. The lab at PBGMC is no exception. The Omega upgrade requires little to no training. Therefore, the staff quickly learns the small differences between the prior system and the new flat panel system, returning to procedures in no time. Since 1991 Omega’s engineers, designers, craftsmen, and technicians have been building the most reliable and technically advanced imaging systems for Cardiology. Omega is the only manufacturer in the world who specializes in fluoroscopic systems designed from the ground up for special therapeutic models. Omega delivers high quality, performance, flexibility, ease-of-use and cost-effective solutions right from Central Florida. To watch the video of this upgrade click here. Exceptional video quality in terms of the flat panel interventional fluoro system.